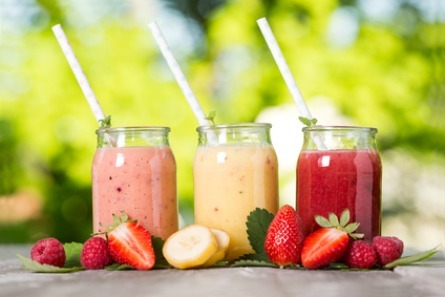 Varying the types of smoothies you drink, by preparing different taste combinations, gives you balanced nutrition. To maintain good health, your smoothies, and all the food you eat should consist of several different food groups and nutrients. You want your smoothie to taste good, but remember a smoothie is designed to improve your health and make you feel better. 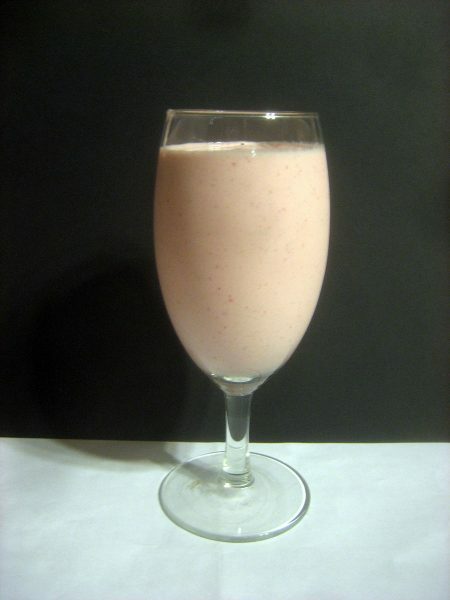 Regardless of the ingredients, design your smoothie to be a drinkable, nutritious meal. The ingredients used in popular smoothie recipes consist of fruits, vegetables, vegan milk, seeds, spices, nut butters, yogurt, ice and juice. As long as you include a sensible combination of some of these basic food groups in your smoothies, you’ll reap their nutritious benefits. Don’t drink an all-green smoothie followed by a fruit smoothie packed with natural sugars, one right after the other. Wait two or three hours to let the nutrients settle in your body. Overloading your body with too many good things at once may be counterproductive. When making a smoothie, consider the nutrients each one contains, what they do, and how they will contribute to your particular health needs. If you want a green protein drink, you’ll want to choose vanilla or plain protein powder over chocolate for obvious reasons. Berries work with green smoothies because they give them a bit of sweetness without clashing against the greens. Avoid putting dates, figs and other ultra-sweet fruits in green smoothies, unless you use a minimal amount of greens such as a handful of Romaine lettuce for example. Ginger, cinnamon, turmeric and other spices add a brighter taste to smoothies and provide anti-inflammatory benefits. A dash of spice also makes any smoothie easier to digest. Ayurveda, the ancient Hindu art of well-being, is based on balancing bodily systems and divides body types into Vata (tall and slender), Pitta (medium physique, well-built) and Kapha (heavy build, may be overweight). Ayurveda’s food combining system recommends particular foods for each body type. People with a Vata dosha body type should add cinnamon, ginger and other warm spices to smoothies. People with Kapha doshas can benefit from turmeric, coconut, and carrot. Balance your smoothie ingredients, and choose combination based on your health needs and individual tastes. A little bit of sweet (fruits) will offset the bitterness of veggies and vice-versa.